Kpreps.com would like to congratulate Rachel Martin for submitting the winning photograph for Week 8 of the Kpreps Friday Night Photo Contest. 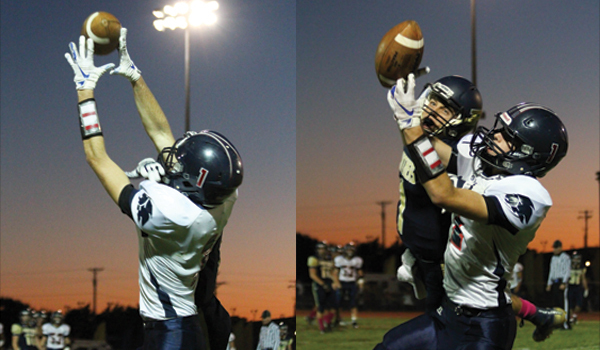 Rachel’s photo captures a sequence of Minneapolis wide receiver Kaden Griffin and Phillipsburg defensive back Trey Sides reaching for a pass during their Week 8 district contest. Phillipsburg won the game 61-6. With this winning photo, Rachel is eligible for our 2018 Grand Prize including $500 in cash.